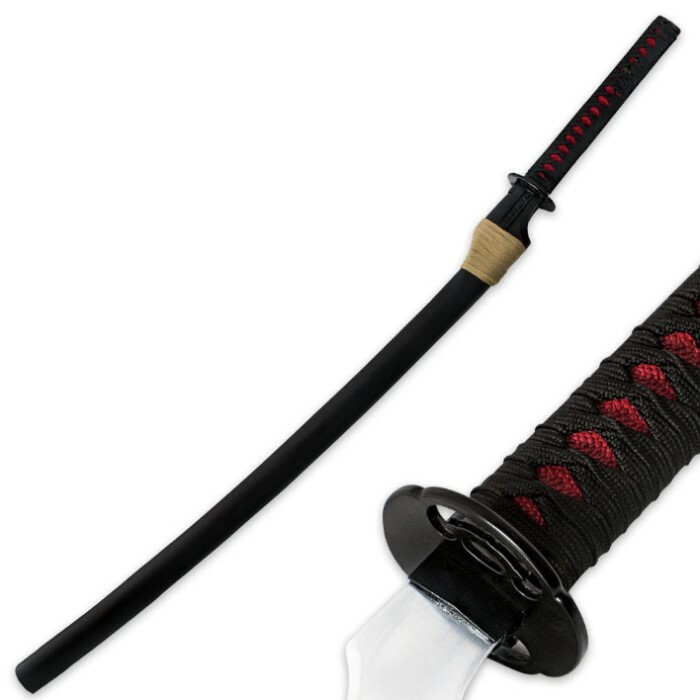 Nihonto Fantasy Anime Sword | BUDK.com - Knives & Swords At The Lowest Prices! Wield this unusual sword known as a Nihonto in one of the most popular anime series. The odd shaped blade is constructed of stainless steel with a blood groove down the length of the blade. The steel tsuba is attached to the handle that offers imitation red ray skin with black cord wrapping. 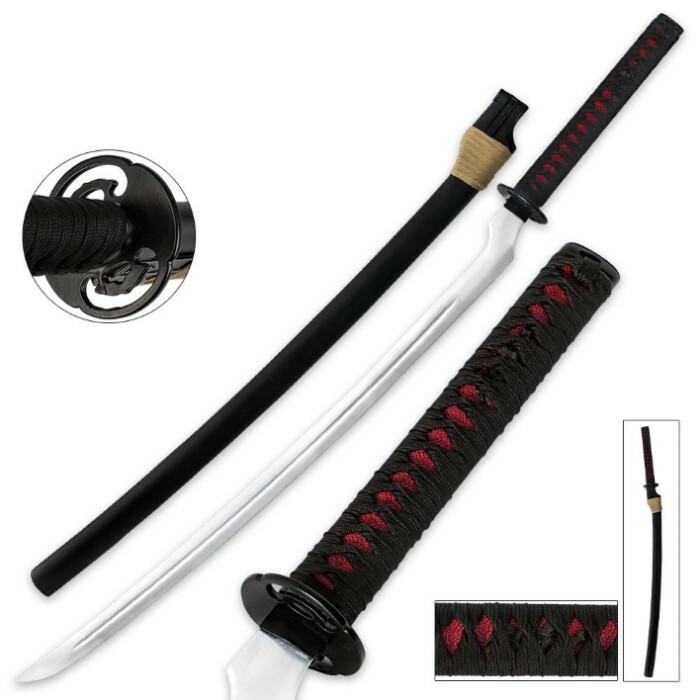 Includes a scabbard that is constructed of black ABS with tan cord wrapping.